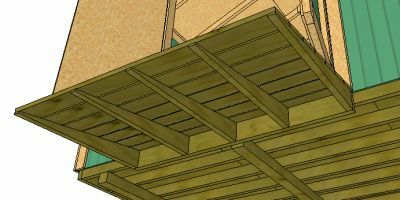 How To Build a Shed Ramp, add Shelves, and More! Knowing how to build a shed ramp for your storage shed is essential if you plan on moving riding mowers and other heavy equipment in and out of your shed. 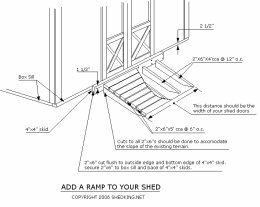 The following illustration on building a shed ramp is one if the best and easiest ways to build a good, sturdy entry ramp into your shed. 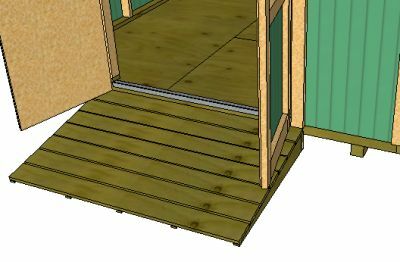 When you build your shed ramp, the length and height of your ramp will depend on how high your shed is off the ground. Another factor is how the ground underneath your shed is sloped. 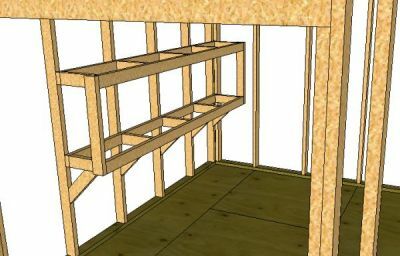 Here is the easiest way I know to add storage shed shelves to most wooden storage sheds.